President of the Creative Arts Council, Mark Okraku Mantey has urged artistes and the general public to desist from attacking an award schemes if they or their favourite artistes fail to bag an award. “An award is an honour so if you are not honoured why attack or disrespect the scheme? 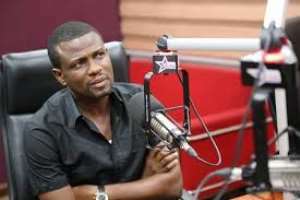 I think it is time to rise above that,” Mark Okraku Mantey said on Daybreak Hitz on Hitz FM. The Creative Arts Council president said, it is disheartening especially, when the people insulting and attacking the scheme failed to campaign and vote for their favourite acts or even make an appearance at the event. He explained, the whole creative arts industry as a result of some of these attacks, fail to get sponsorship from corporate houses for their shows. Mr Okraku Mantey revealed some corporate houses have tagged such areas as “slippery’. “They [corporate houses] argue anytime they put their money into award schemes, especially, people end up disrespecting the award scheme and sponsors. By the time you are through, these people who have toys in the name of phones will come and rubbish the work and the argument are not objective,” he said. The Creative Arts Council president disclosed if he ever organises an award scheme, he will take public voting out because many people in the public would fail to vote for the deserving acts but will get offended when other nominated acts win. He stated that he would rather use his board to award acts than depend on the public. Mr Okraku Mantey, on Tuesday, said many people who are complaining of the wins at the just ended 3Music Awards, did not vote for their favourite acts but have resorted to insults. “When the head of 3Music and his partners were doing the award the ones who are sending these messages did not vote and they never came to the hall,” he said. “It is 100% disrespect to humanity,” he added. According to Mr Okraku Mantey, he was really disappointed when he saw a comment attributed to Blakk Cedi, manager of Stonebwoy calling 3Music Awards “joke of the century”. “If that comment is really him and not doctored, and he (Blakk Cedi) feels like that then he should bring all the awards Stonebwoy won last year and the three he won this year because it is a joke,” he stated.